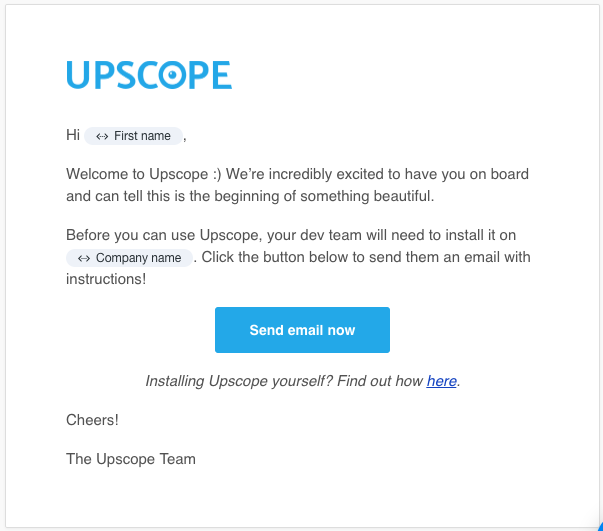 Below we’ve laid out the full Upscope.io email campaign for onboarding users including the entire process through sign up, installation, trial and purchase. 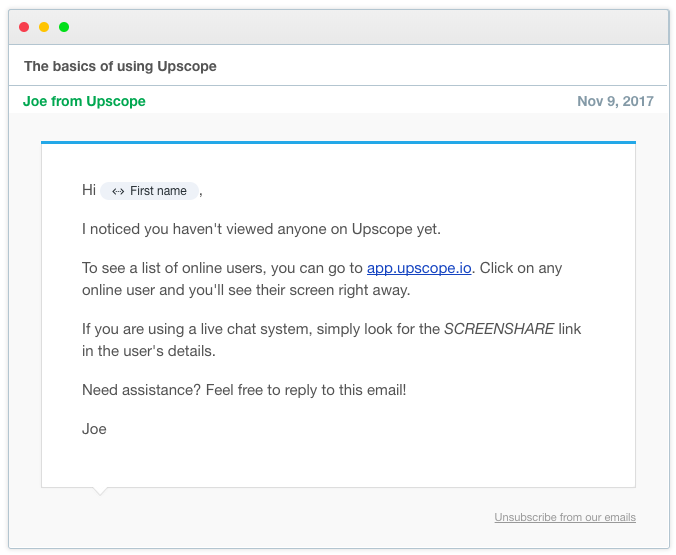 Upscope is instant online screen sharing, also known as co-browsing for seeing the user's screen in one click (including from Intercom). 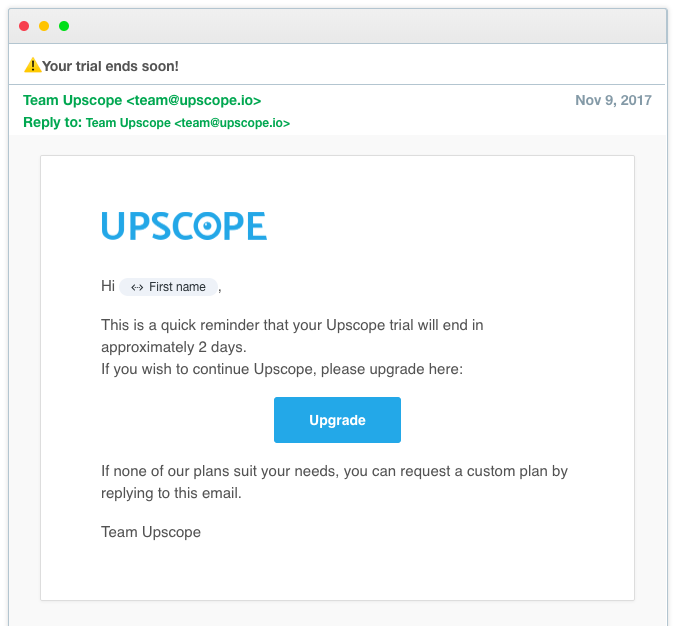 How about users that sign up but don't purchase? You'll need to add an additional effective drip campaign. 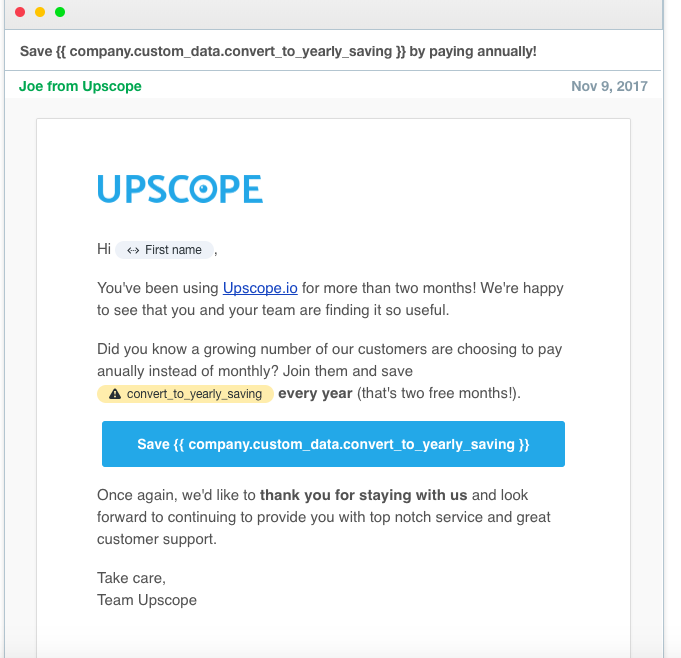 See an excellent example of how to do this by reading the following article on Close.io's drip emails that work. 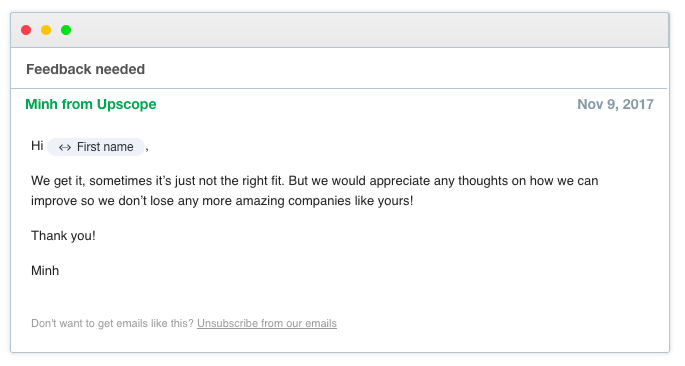 Which of our new customer's team members do we send emails to? 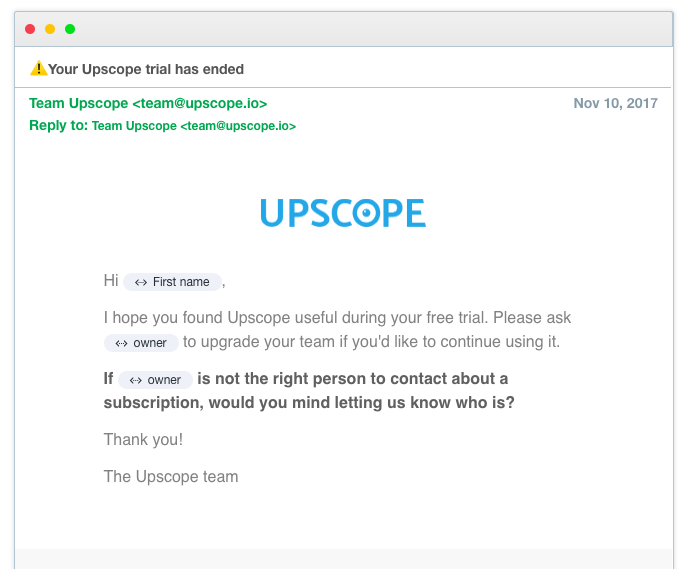 If your product has teams signing up then the account owner may not be a user. They may not be the person to configure the system. Whoever signed up first or is listed as the account owner. The tech person who installs it. The customer support team members who will use it. 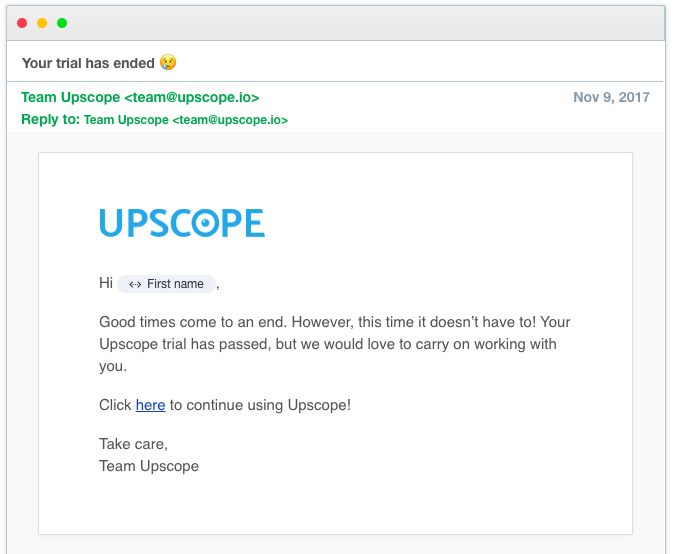 Which Upscope team members send onboarding emails? What’s the biggest obstacle we have to tackle in the campaign? If non-tech people sign up they need to ask their tech people to copy and paste code to install it on their website. Until they install it they can’t begin the trial and everything stops. It’s ok to be persistent and use follow ups when dealing with bottle necks. Make it as easy as possible to get past them. 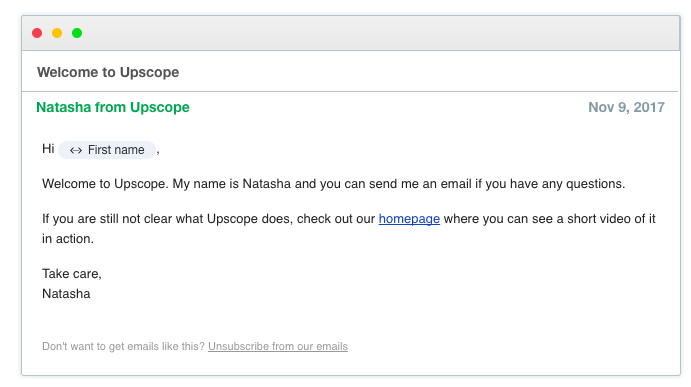 Contact all team members as if they’re equally important, not just the person who signed up and is the account owner. Get feedback and focus on their problem, not on making a sale and avoid bad-fit customers. Welcome the prime team member and give them a key call to action. 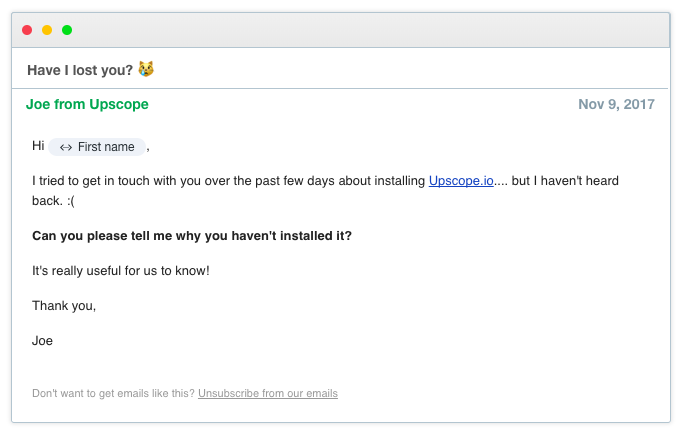 The mailto link in this email helped double our installs. 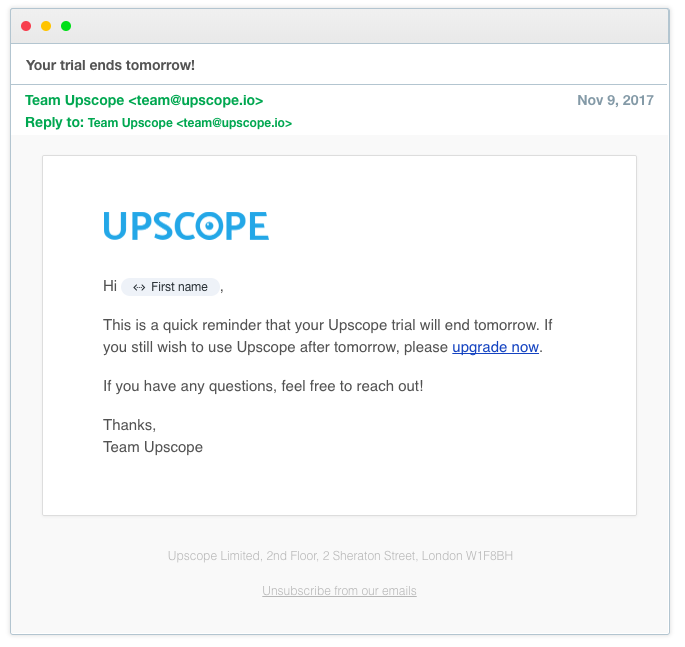 Sent after the prime team member has signed up and confirmed their email. It uses a ‘Mailto:’ link that works within Intercom (see how to do that here). It straight away gives them the option of speeding up the install. 13% click. Welcome OTHER team members who might turn out to be more important. 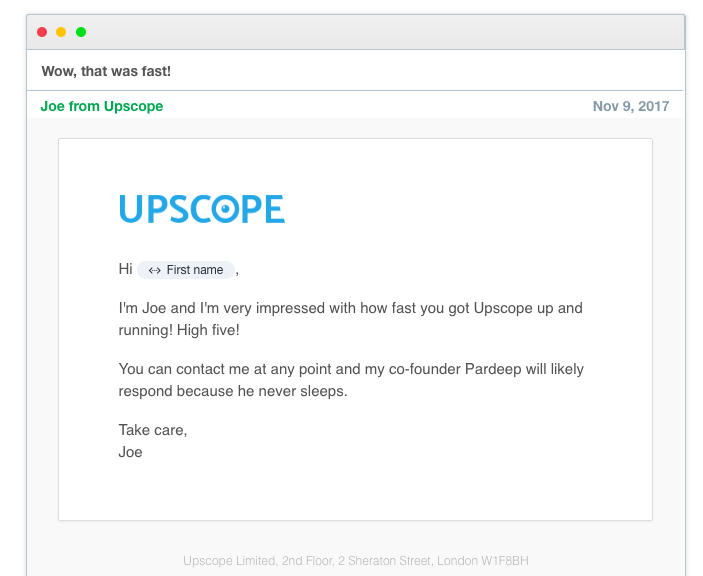 If members of their team sign up, we send them an email to bring them into the conversation. They may well become the main users of the app and so be the most important people in deciding whether to go ahead with the purchase. A warm account manager introduction to encourage conversation. We introduce them to an account manager with a gif at the bottom of the account manager waving. 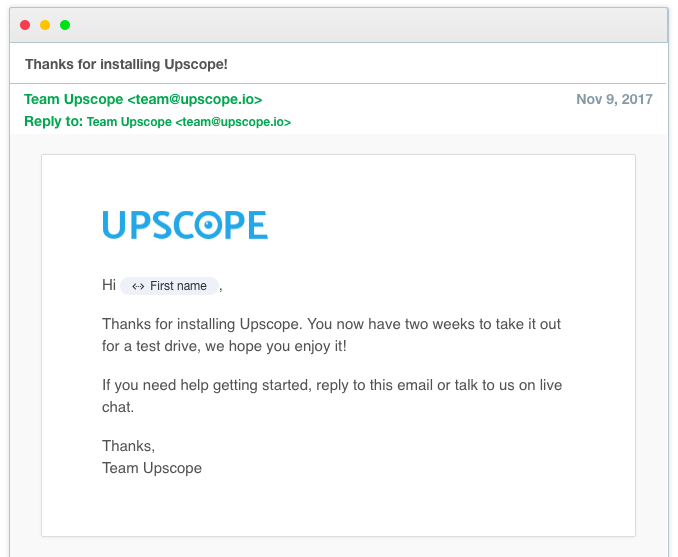 We tell them we’ll call them but only to discuss and understand the support or sales problem that Upscope screen sharing can solve. Never to sell to them. The ‘congratulate fast movers’ email has a 100% open rate. If they install it the same day, we congratulate them on moving fast. Prompt them if they have not started using it. The person signing up might not be the live chat / phone agent who needs screen sharing. 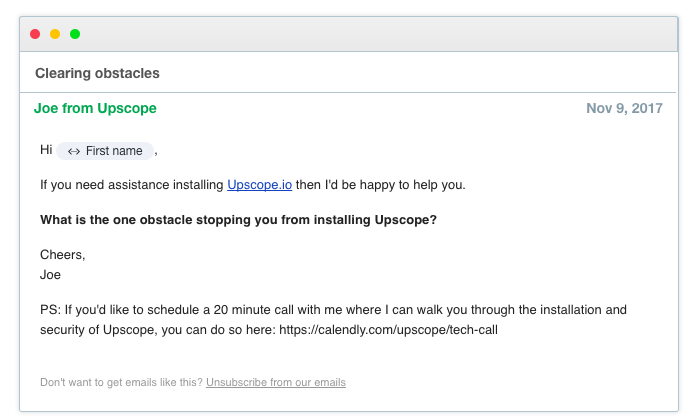 If they’ve installed it but have not used it to view anyone we remind them of how to start viewing. Make sure they understand a KEY feature or risk losing them. If they’ve installed it, viewed someone but not used the magic remote control point, scroll and click then we’ll remind them to do that. We’ve all heard the phrase ‘Get them to the aha! moment’ in your app. Remotely co-browsing without installs is one of them. If they don’t do this, they may no complete the trial. 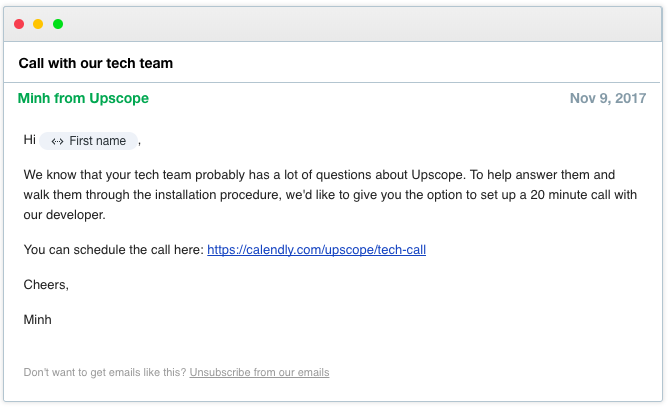 Give them the option of a tech call to get it installed. They may wish someone else deals with the problem and this is our way of giving them the option. 5% click. We want to know the one key problem holding them back from installing it. Have not replied to the tech call email. Our last contact with them has been at least 5 days. Second install prompt with some humour. A slightly funny follow up with a simple way of replying by choosing an option. 3% reply. Third install prompt which gets feedback. Get feedback on why the have not installed it. 5% reply. Fourth install prompt for final feedback. 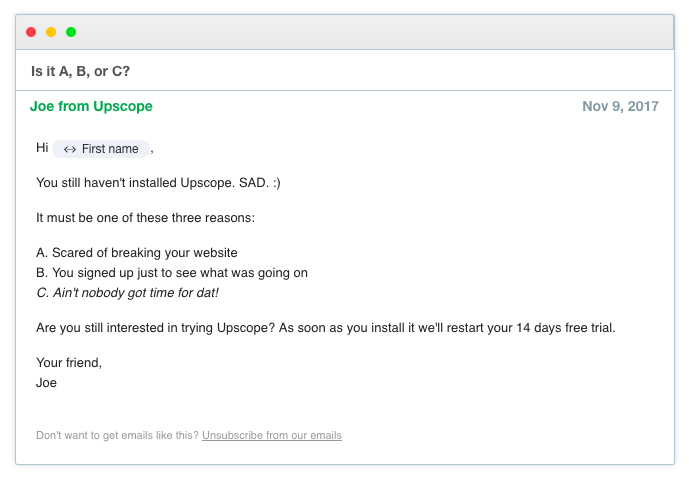 Assume they’re not going to install it and ask for feedback again. 4% reply. Thank them for installing it. This also tells them that their 2 week trial has started. Trial ends in 7 days but they have not used it much so extend it. They may not have had the time to test it properly so it makes sense to offer to extend the trial. 11% reply. Trial ends in 2 days. Trial ends in 1 day. Trial over email sent to non-owners. We ask them to tell us who to contact about upgrading if they are not the decision maker. This email has 0% replied. 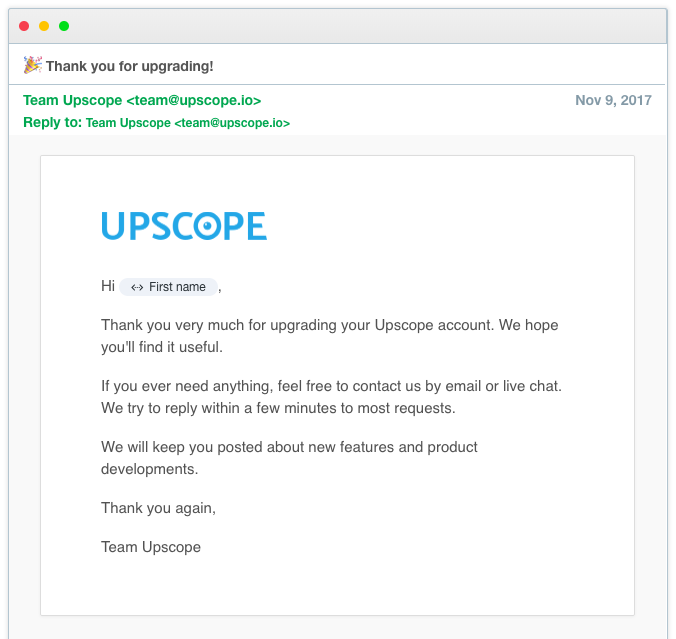 Prompt them by asking why they did not upgrade. Maybe there was a problem we were not aware of. Prompt them again to find out why they’ve not upgraded after trial and if there’s a way to improve the product. Final prompt to the non-owners about upgrading. This is sent after 2 months. We’ve also got the annual saving they could make set as an Intercom attribute so we can remind people during a chat too. Weekdays, 9:00AM — 5:00PM. The emails are not sent on e.g. Tuesday afternoon or whatever is the suggested optimum time, they’re sent on any weekday and instead just done X days after an action. The account manager may, depending on need, phone them directly during the trial to further understand the problem they’re trying to solve. We don’t chase them on the phone to sell to them, instead we use it as a way to get greater feedback on their key problems and if / how the product can solve them. If they’re not a good-fit customer i.e. they don’t really need it then we know that it’s not a product related problem. There are also in-app messages that relate which we have not published yet. The are part of the onboarding process in that they act as a trigger for possible questions and they supply little bits of information at the right point or on the right page. 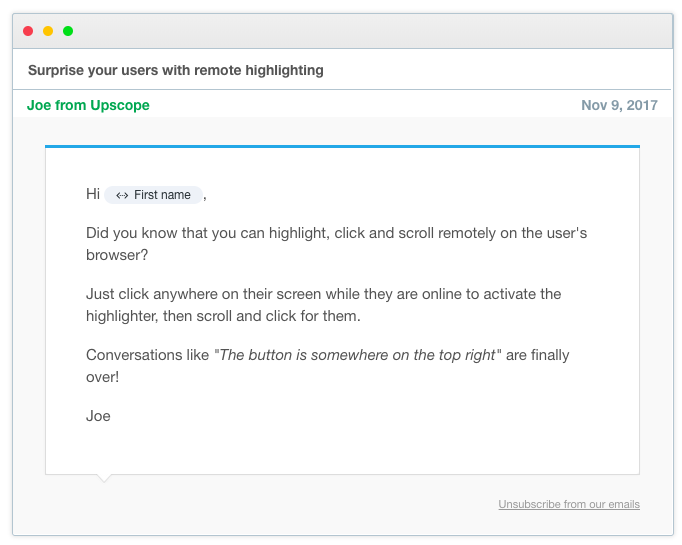 If you’re an Intercom user then here are some Intercom custom attributes you might want to add that make helping users effortless. 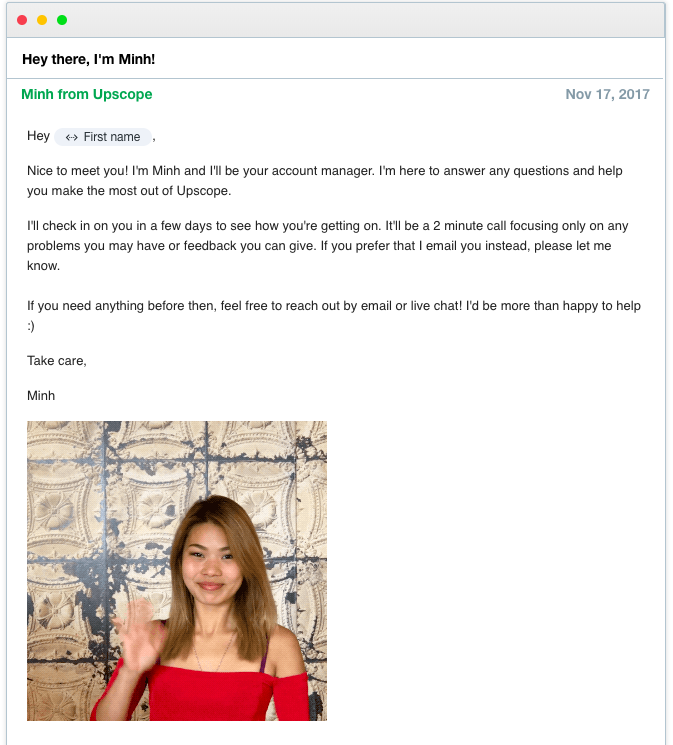 Key advice from customer success experts applied to Intercom based on case studies and experience. This is a must read!